When I landed in the Minneapolis/St. Paul airport, I was greeted with a pleasant surprise. 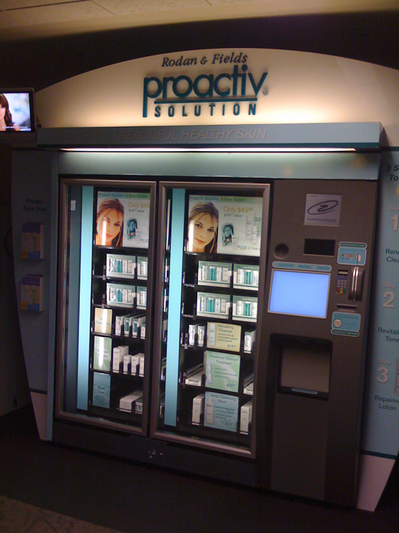 As I made my way down to the baggage claim, web design company in los angeles I bumped into what was essentially a giant vending machine that uses robotic technology to dispense Proactive skin care products.